Born in Regina, Saskatchewan, Timothy Walter (Tim) Lilburn is the author of nine books of poetry, including writing that garnered two Governor General’s Award nominations. Lilburn's work has also received the Canadian Authors Association Award, the Saskatchewan Book of the Year Award, and the Saskatchewan Nonfiction Award. Lilburn is the editor of, and a contributor to, two influential essay collections on poetics, Poetry and Knowing and Thinking and Singing: Poetry and the Practice of Philosophy. 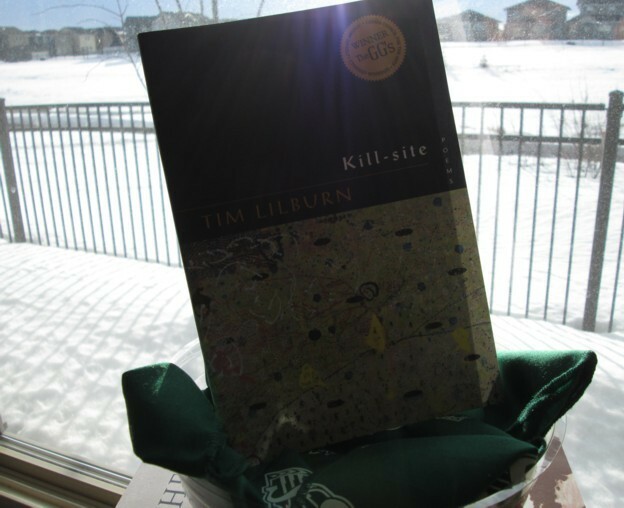 Lilburn’s poetry collections, in particular the Governor General's Award winning Kill-site, often usher the reader along lyrical lines into familiar yet estranged locales of contemplation and mystery – what may be imagined to be Tritogeneian landscapes where the armchair reader is not necessarily autochthonous and must quickly scrabble for what letters he or she has for a modicum of comprehension ... but the continual promise of aurora borealis is well worth it. Leave goodness behind, said Socrates. Take the drinkable pelican wave further into your mouth. Imagine an experiment set in some Idea of North where a jaded overtly self-important poet of First Nations’ extract is sent into exile from his West Coast ancestral seat after a gripping Tribal Council and dropped down in a bitterly cold prairie city in Canada with nothing but a Jacket2 T-Shirt and a Métis-inspired meat wagon. Nourished on mostly root vegetables, will he find a job and be able to secure even one eighth of an eightplex on the verge of very little? Will he earn his degree in Saskatchewanology? In the first episode, Morse must tactfully defuse three dozen poetic present bombs and take each of them out for dinner in a geomantic* setting, before asking earnestly, will you accept this prose? * geomantic because of its similarity to the art of geomancy as practised in ancient China and by the lost builders of Stonehenge. Geomancy took the existing elements in nature, aligning and shaping them to augment and focus the yin/yang energy currents that flow over the earth’s surface. R I P O S T E S cuz Ezra sd so. Garry Thomas Morse is the award-flirting author of four books of poetry: Transversals for Orpheus, Streams, After Jack, and Discovery Passages about his ancestral Kwakwaka'wakw First Nation, finalist for the Governor General's Award for Poetry and finalist for the Dorothy Livesay Poetry Prize. Discovery Passages was also voted One of the Top Ten Poetry Collections of 2011 by The Globe and Mail and One of the Best Ten Aboriginal Books from the past decade by CBC's 8th Fire. Morse's forthcoming book of poetry Prairie Harbour (Fall 2015) is a spotted handkerchief to former halcyon days of West Coast conquest, partly made up of musings on The Maximus Poems, Paterson, and "A", and reflections on his diverse familial histories that radiate outward from his new global position on a site under continual development in Regina, Saskatchewan. Along with his first collection of stories Death in Vancouver, his highly unstable genrejobbing fiction series The Chaos! Quincunx includes the ReLit Award nominated Minor Episodes / Major Ruckus, Rogue Cells / Carbon Harbour, and the forthcoming Minor Expectations (Fall 2014).